Filomena and Dan grew up in the same town but only started dating after moving around the country as single, free spirited people. Eventually, they got together and moved down south to build a life together. Despite their home base being in a place where it’s warmer, they decided to hold their ceremony and reception back home in Ludlow, Massachusetts. If you grew up in Ludlow, like me, you probably grew up going to really big Portuguese weddings at the Ludlow Portuguese Club. My mom and dad had their reception there, as did myself and my husband. Many of my friends and family also had their receptions there. It’s a great place for the community to host really big, memorable parties. Mena and Dan wanted to share their love with their family and friends by hosting them at this venue. Mena and Dan were married at the Congregational First Church of Christ in Springfield, Massachusetts and held their reception at the Ludlow Portuguese Club in Ludlow, Massachusetts. Photos following the ceremony were taken at Springfield City Hall. MGM Springfield hosted the bridal party and also guests traveling from out of town. The reception was catered by the Villa Rose and a special appearance was made by the Hartford Raincho of the Hartford Portuguese Club, a traditional Portuguese music and dance troop. When the dance floor opened, I set up an open air photo booth to photograph friends and family. The entire day was so fun and I could not have asked for a more beautiful and loving couple to close out a super eventful year. Congrats Mena and Dan! I wish you a lifetime of love, health and happiness! To see more images, view the full round up of favorites here! See a round-up of my favorites! Samantha and Corey will be getting married next year at the Mill on the River and I am so excited to be there as their photographer! Samantha is a teacher and Corey is an engineer and they are just the sweetest couple ever. I took their engagement photos at the Quabbin Reservoir on the most perfect fall day we’ve had this season. The session also happened to be one year and a day from their wedding date so the countdown is on! Congrats on your engagement Sam and Corey, and thank you for inviting me along to capture this special journey! You never know what the weather will be like the day you get married. On Cassandra and Thom’s wedding day the skies decided to open up and join in the celebration! They were married in an outdoor ceremony, performed by the groom’s childhood friend, at the groom’s family home. Getting a little wet did not seem to dampen anyone’s spirit! Luckily, Cassandra and Thom are creative, resourceful people and surround themselves with other creative and resourceful people. We had to shift some of the wedding timeline to get the photos that they wanted but we made it work! Their wedding and reception was full of beautiful details, laughter and fun! Congratulations! 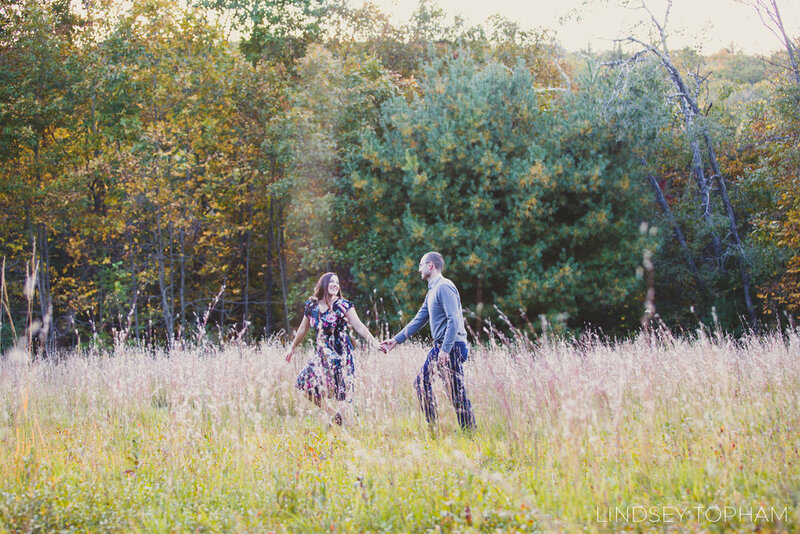 An engagement session at the Ludlow Mills in Ludlow, Massachusetts. A collection of photos from Nuno and Amber's wedding in Ludlow, Massachusetts.